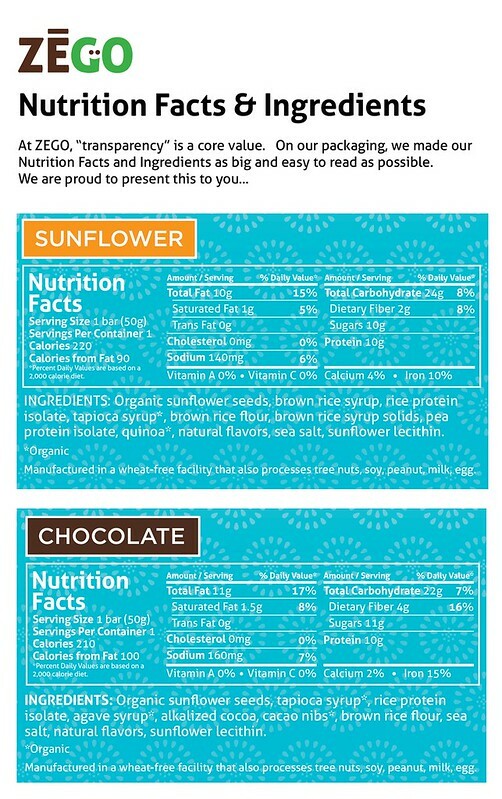 You may have noticed that there are a lot of energy bars on the market…and a lot of them have ingredients that may leave you scratching your head. Why would athletes (or ANYONE, for that matter) want to eat artificial flavors or colors or other unpronounceable additives in the foods they are depending on for energy? But now, there’s a new player on the market that is addressing these concerns. A couple weeks ago, Jonathan from ZEGO reached out to us to tell us about their new energy bars…these things check a lot of boxes for folks who are concerned with what they put into their bodies. Not a lot of Sugar. Sustained Energy. Low glycemic index. Delicious. Something you’ll WANT to eat during a workout! As if the ingredients weren’t enough, ZEGO even donates 20% of their profits to supporting childrens’ nutrition initiatives. That’s a winner right there! ZEGO is in the final stages of an Indiegogo fundraising effort so they can ramp up production. Please support them if you like the sound of their product — I think it is a great thing they are bringing to the market. Jonathan was kind enough to send me samples to try — the caramel (previously referred to in print and visual ads –even in the pic above — as “sunflower”) and chocolate. They are DELICIOUS — just a hint of sweetness and a chewy, satisfying mouthfeel. Best of all, they go down easily; many other energy bars sit in my gut like a lead brick, but the ZEGOs kept me rolling on a long training ride this weekend. Any energy-bar users in the house? You may think, “well, I’m a commuter, not an athlete…what do I need such things for?” Think about this, then: you might be running late to work and need something quick to eat on the way. You may need a little energy “pick me up” before your ride home in the evening. 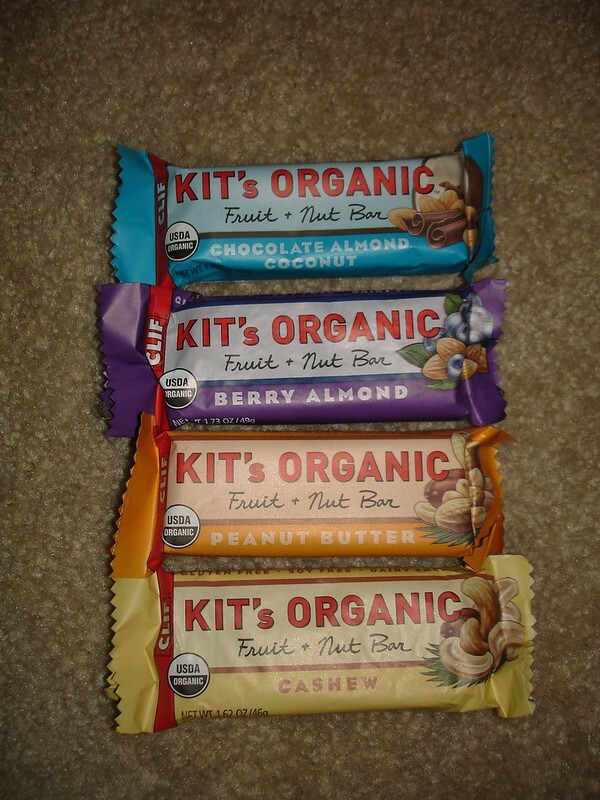 Or, like many of us, you also ride bicycles recreationally and need “road/trail snacks” for those epic rides. There are literally dozens of energy bars on the market…and I’ve tried a lot of them over the years. To be perfectly frank, I find most of them absolutely disgusting in flavor, texture, or ingredient content. What’s more, off the bike I have a cast-iron stomach. When I ride for transportation or for recreation, though, I find that food just doesn’t sit well in my stomach…and most energy bars really aggravate my tender innards. 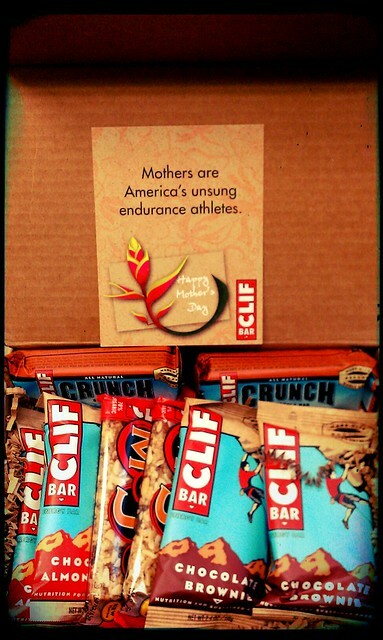 So, when Clif Bar offered to send samples of their newest offerings, I was intrigued, to say the least. Would I finally find a tasty, easy-on-the-stomach energy bar for my uses? Next up is Gary’s Panforte. According to Clif Bar, “This bar was inspired by [Clif Bar founder] Gary’s rides in Northern Italy and is based on an 800-year-old Italian recipe full of fruit, nuts, and spices.” That sure sounds like a traditional fruitcake, but it’s much more like a Christmas “panettone“, at least in flavor rather than texture. The Gary’s Panforte bar is a dense, flavorful bar…nutty and rich with exotic spices like ginger, coriander, white pepper, and citrus and with a strong molasses-y (actually brown rice syrup in these bars) undertone. This bar is mostly made of organic ingredients, too…and there’s nothing scary in the ingredients list. Best of all, it is absolutely DELICIOUS…hell, even my two children, both notoriously picky eaters, seem to love them. The flavor brings back childhood memories for me…eating holiday panettone and sneaking cups of espresso with my Italian great-grandmother while the rest of the family turned up their noses at the fruitcakey substance. On the bike, however, the Panforte bar sits a bit too heavily in my stomach…it’s probably too nutty for me and didn’t seem to digest quickly on account of all those nuts. They’re so darn tasty, though, that I reserve these for before/after pick-me-ups rather than food while I’m riding. 12 of these will set you back about $15.00. Not bad for a little yummy energy in the tank! So, if you’re in the market for something new in the energy bar department, both of these offerings from Clif Bar might be worth a try. Oh, and if you hurry, you might be able to catch some of their other limited edition “holiday flavors”, including peppermint stick, iced gingerbread, and pumpkin pie…all great hits around our household! Want a prize package like this? 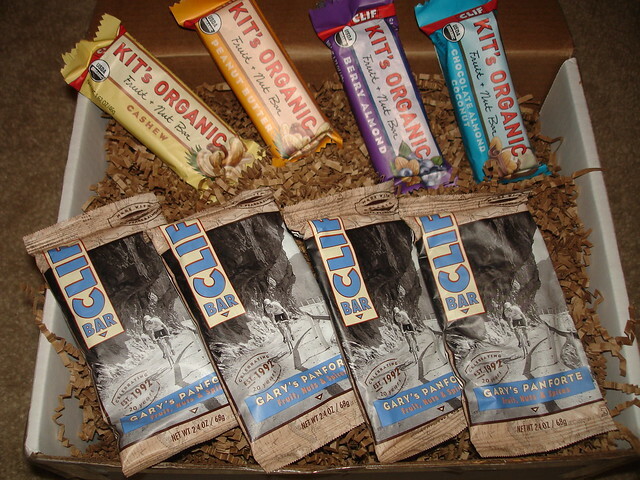 All you have to do is follow @Clifbar and tweet them a picture of your bike commute, then you can win a package just like this one. You better hurry, supplies are limited! Our sister site, MtnBikeRiders.com is having a Mother’s Day Give-Away. 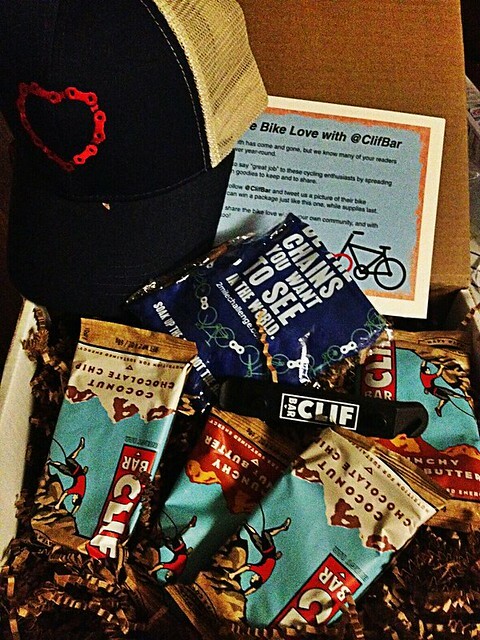 You can win this gift pack from Clif Bar. So make sure you head over there and enter! The Chicago Green Festival is this weekend (May 22-23, 2010), a time to celebrate what’s working in our communities. This event showcases more than 350 diverse local and national green businesses. COURTESY OF THE CLIF BAR 2 MILE CHALLENGE: BIKE TO GREEN FESTIVAL FOR FREE ADMISSION! The Chicago Green Festival® is a joint project of Global Exchange and Green America. In addition to highlighting local businesses (including our friends at PoCampo), more than 150 renowned speakers will appear for insightful panel discussions and presentations. Attendees will also enjoy great how-to workshops, green careers, a Fair Trade pavilion, Youth Unity Pavilion, kids’ activities, delicious organic beer, wine and cuisine, and live music. Find out how Midwest neighbors, community nonprofits and city departments are working together to make their cities healthier places to live.